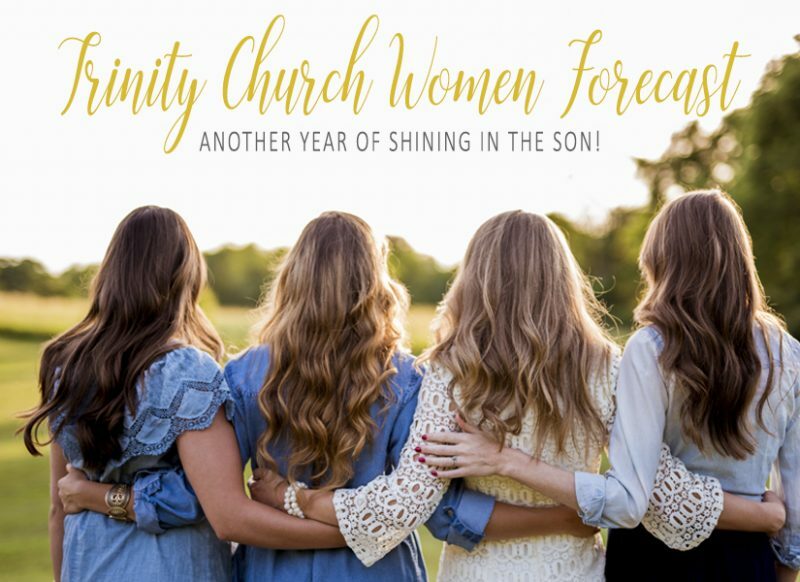 Trinity Church Women thrives on our certainty that the sisterhood we have in Christ has transforming power for our lives and the lives of those with whom we are blessed to connect. We believe that this sisterhood can create a culture of grace which, through our obedient efforts, can permeate the entire church. The witness of the unity this creates will be our reward and our testimony of Christ’s victorious presence. As always, on-going ministries will be encouraged, with expansion to new support groups as needs are identified. Existing groups and ministries are listed in “Find a Group” under “Women”. If however, you don’t find a group specific to your interests, let’s form a group! Trinity Church Women is looking forward to the new year in Christ and we invite you to join us in reflecting the Son. Shine on!